Little Man woke up as the sun rose... so it may have been 7am... still, Momma doesn't like to get out of bed until 7:30. As I carried Heir Crankypants downstairs, he dropped his heavy head on my shoulder and grasped my pinkie finger with his tiny hands. It may be too early in the morning, but that lad can still melt my heart. I stroked his hair and rubbed his itty bitty hand. His hands! So small! And yet I know in just a short amount of time, they will grow and I will forget just how small my littles used to be. This simply could not happen! I felt a ludicrous urgency on the way down to breakfast: I MUST PRESERVE THE MEMORIES! 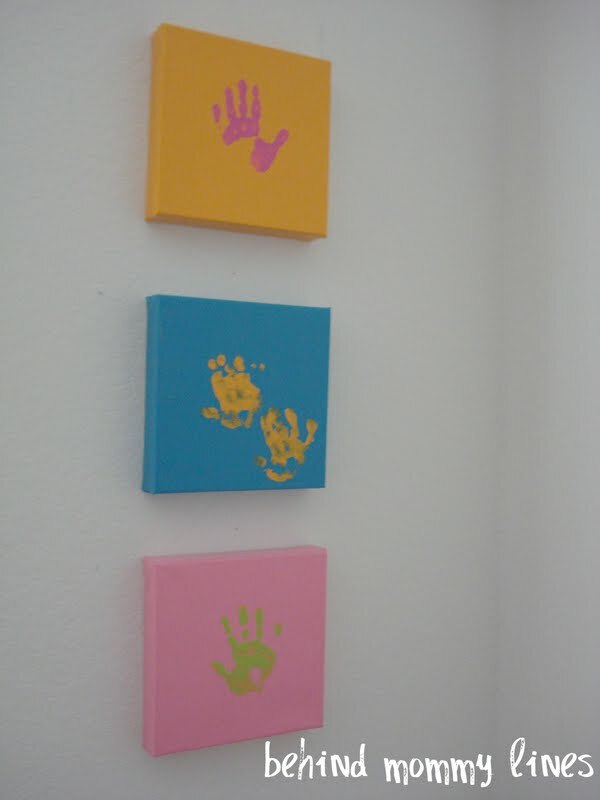 This little handprint canvas art from redenvelope popped into my head. Isn't it just so gorgeous?! I already had the paints, the canvases were on an amazing sale so I got them for $6 a peice, and then just under $2 for the foam brushes. A $20 investment if my pathetic math skills can be trusted? I was pretty impressed with myself. 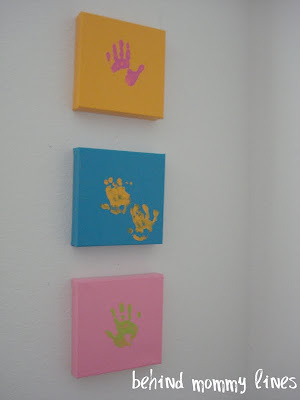 Coating kids' hands in paint was way beyond my comfort zone, and while Little Man graced his canvas with two prints, it just shows off his here-have-more-of-me attitude. Crazy spur-of-the-moment craft: $20. 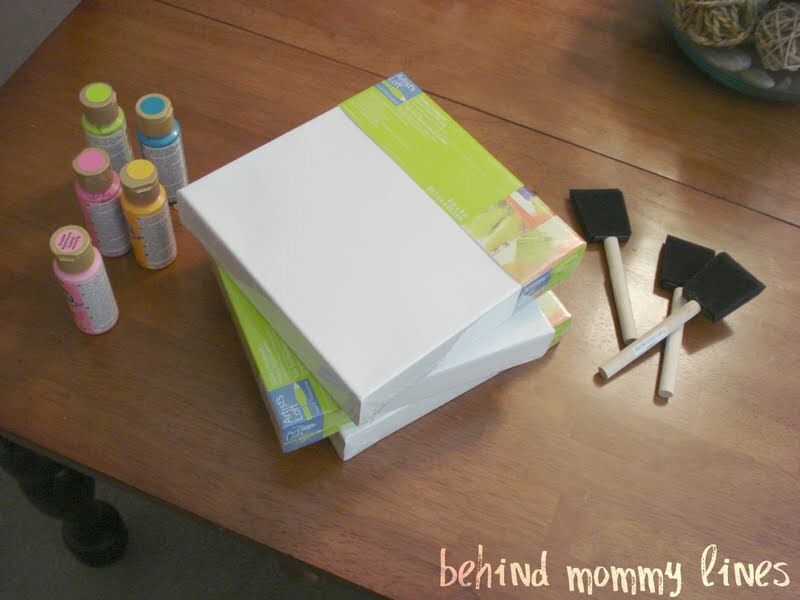 Feeling like a good, crafty Mama: priceless.